Call the ticket seller's phone number listed on our show ad. 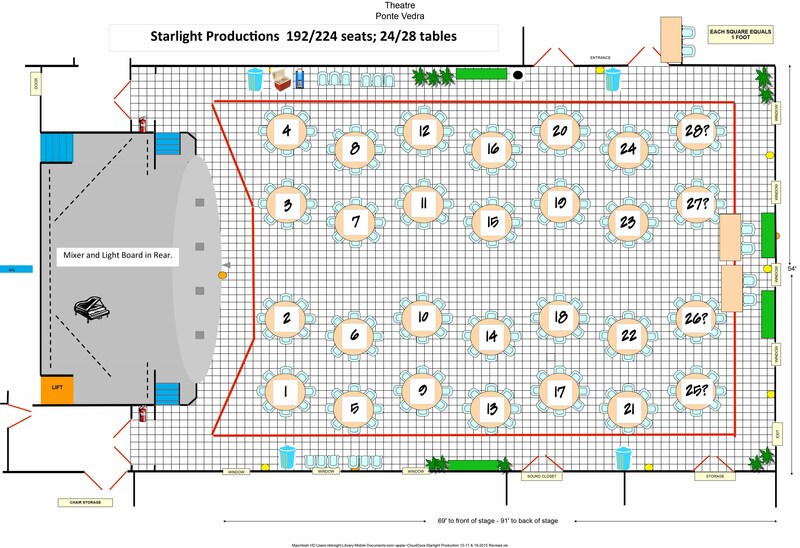 S/he can reserve any number of tickets for you; and you can even pick your table number! Send a check for the tickets ordered, or stop by any Friday morning between 9:00 am and 11:30 am for pick-up. Visit Seabreeze Recreation Center any Friday morning between 9:00 & 11:30 am. Get your tickets in the Ponte Vedra (theater) Room. Look for our poster inside the door! Tickets and tables are sold on a first come, first served basis. You do not need to reserve an entire table if you only want individual tickets. We like to seat everyone at tables.